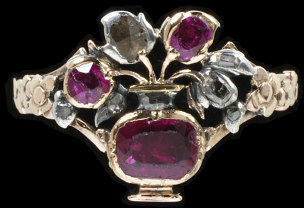 Flowers were a fashionable theme in jewellery during the second half of the 18th century. Intricate and colourful ‘giardinetti’ rings (from the Italian, meaning ‘little garden’) were popular. They had tiny blossoms set with an assortment of precious stones, asymmetrically arranged in a basket, vase or pot. 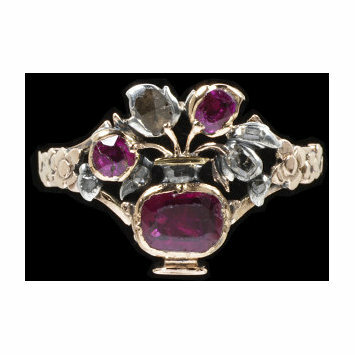 Gold giardinetti ring, with an openwork bezel in the form of a vase of flowers, set with rubies and table- and rose-cut diamonds in silver collets, with chased flowers and leaves on the shoulders. 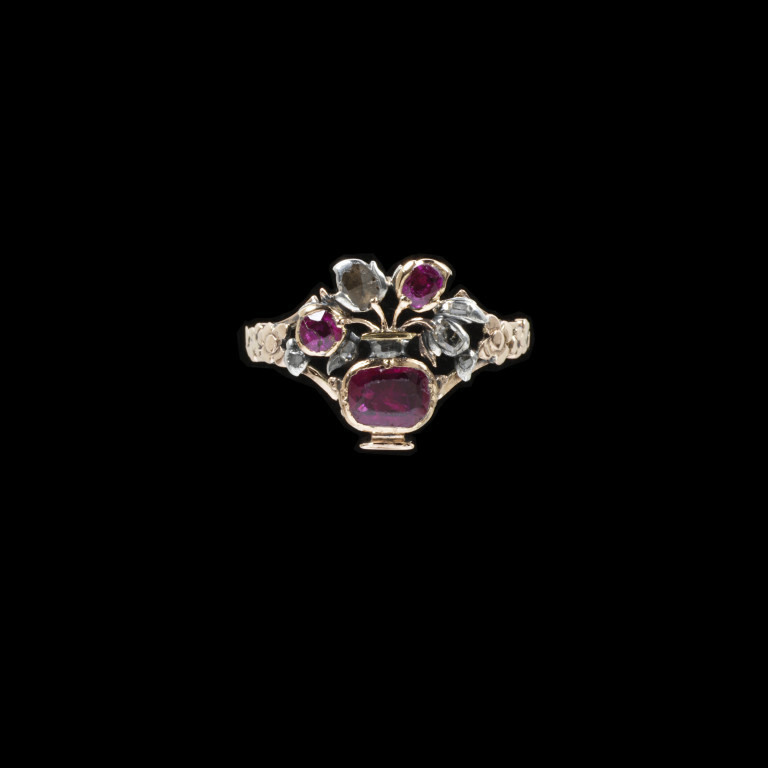 Gold giardinetti ring, with an openwork bezel in the form of a vase of flowers, set with rubies and table- and rose-cut diamonds in silver collets, with chased flowers and leaves on the shoulders, probably made in England, 1730-1760.